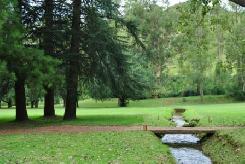 Hans Merensky Golf Course is another fine course designed by Robert Grimsdell. A major attraction of the Hans Merensky course is the visiting wildlife - the course is bordered by the Kruger National Park near the Phalaborwa Gate and many of the Park's inhabitants pay scant regard to fencing. Particularly during the drier winter months, elephants, several species of antelope, giraffe, warthogs and even the big cats occasionally can be seen. The course is truly a revelation. 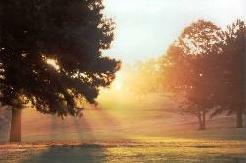 It has hosted many high-profile professional and amateur tournaments, a measure of its widely acknowledged quality. 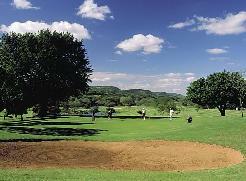 The land on which the course is built once formed part of the Kruger Park and magnificent bushveld trees line the fairways and form backdrops to the holes, giving the impression that the course is far older than its 30 odd years. From the moment one enters the club grounds, one realises that this is a uniquely African experience - monkeys leap above the enormous trees near the clubhouse, which is said to have the biggest thatched roof in the country. 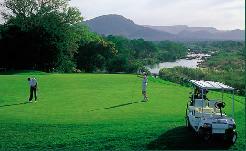 Playing this course is a real golfing safari experience. There is not a single weak hole on this course, but from the forward trees, the novice is sure to thoroughly enjoy the round. 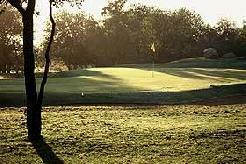 Signature Holes: It is difficult to single out specific holes on so fine a layout, but the four par fives are all excellent, particularly the 16 th, where a pulled or hooked drive could well land in the Kruger Park. 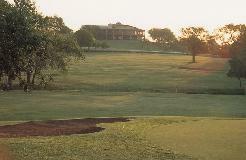 The par three 8th and 17th holes, both over water to well-bunkered greens, are also exceptional.